The state of the consumer electronics market | What Hi-Fi? The consumer electronics industry is going through a pretty torrid time at the moment - witness the collapse of Comet, Philips pulling out of the market completely and most of the major Japanese TV manufacturers desperately trying to cut their (considerable) losses. It's no surprise that the TV market is struggling: the latest figures from market research company Gfk paint a gloomy picture. 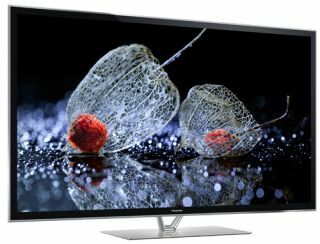 Not only has the flatscreen TV market reached saturation point – with an average of two sets in UK households – but weak consumer confidence means the product replacement cycle for tellies has extended from six years in 2008 to nine years in 2012. In other words, with money tight, people are hanging on to their existing flatscreens for much longer rather than upgrading to the latest model. Still, 7 million TV sets were sold in 2012 (a drop of 1 million compared to the previous year), and more than 60 million new sets have been sold since 2005 as the move from CRT to flatscreens got under way. But the TV bubble has clearly burst: you only have to look at the frantic discounting in store and online to know that manufacturers and retailers are desperate to shift stock. Of those TVs that are sold, Full HD sets now account for 56% of the market, overtaking sales of HD-ready sets last year, while smart (internet-connected) TVs represent 50%. The popularity of LED sets is increasing rapidly, while plasma continues to decline. Larger screen sizes (40in+) now account for more than half the TV market by value. Looking at the Audio/Video hardware market more widely, its value has dropped by £2.4bn since 2007, according to Gfk. And the figures for consumer electronics sales (by value) show an 18% drop between 2011 and 2012, a decline of £963m. So are there any bright spots? Well thankfully, yes there are. TV soundbars are booming - sales shot up from £21m in the year to February 2012 to £56m in the year to February 2013, a healthy 171% increase. And that was before Sonos launched its new Playbar (above). In fact, it won't be long before the soundbar market is worth more than the entire Home Cinema in a Box sector, which racked up sales of £64m year to February 2013 (a decline of 28% over 2012). And the high-definition set-top box market posted sales up from £33m to £37m (+14%). It will come as no surprise to most that the tablet/e-reader market is positively booming, with sales of 5 million units last year, although the Gfk figures we've seen don't include data from Apple Stores (hence iPads) – that would add around another million to the total. To date, 27% of adults in the UK own a tablet, and among non-tablet owners 26% say they intend to purchase one. And here's an interesting little snippet: the average time we spend shopping every week on our tablets is 4.4 hours, while on PCs it's 2.9 hours and on our smartphones 2.2 hours. As for watching catch-up TV, 28% of us do so on a tablet, 16% on a smartphone and 46% on a computer. Sales of smartphones were equally healthy at around 18 million units. Headphone sales also continued to defy the economic downturn, up 10% from £204m to £225m. But Gfk warns that the headphone market may have reached saturation point, as sales growth stallled in the critical period between December 2012 and February 2013. Wireless speakers/docks (think Bluetooth and AirPlay) and streaming network devices are another boom area, with Sonos taking a staggering 72% of what Gfk calls the 'connected devices market' in December 2012 alone. And that's with a relatively small range of products. Pure, Naim, Cyrus and Bang & Olufsen have also made gains in this area. Looking in more detail at the AirPlay/Bluetooth speaker sector, the latter outsells the former by a ratio of around 6:1, no doubt reflecting the increasing success of Android devices. And Gfk reports a 14% decline in sales of speakers with a physical dock. In 2011 10% of the products in the speaker dock market were wireless, while in 2012 it was up to 40%. No surprise there really. Interest in digital radio (DAB) is still mixed, with analogue sets accounting for 55% of the market, digital 30% and internet radio around 13%. Around 16 million DAB radios have been sold in the last 10 years, and 50% of the DAB market is accounted for by portable radio sales. Also, the increasing move to DAB in-car radios is expected to give the market a further boost, as will the impending digital switchover. Elsewhere, the decline in sales of physical media such as CDs, DVDs and Blu-rays is reflected in falling sales of DVD players (-28%), Blu-ray players (-8%), DVD/HDD recorders (-39%) and audio systems (-11%) all declined. So it's definitely a case of winners and losers, with emerging new technologies such as tablets, wireless streaming and network connected devices being the latest boom markets.